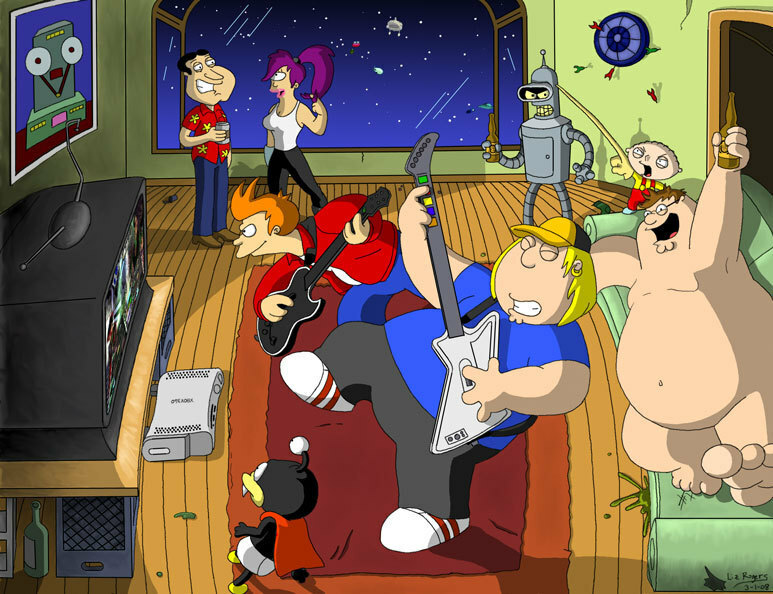 Family Guy Meets futurama. . HD Wallpaper and background images in the uma familia da pesada club tagged: family guy peter stewie fan art crossover. This uma familia da pesada fan art might contain anime, banda desenhada, manga, desenhos animados, mangá, and quadrinhos. 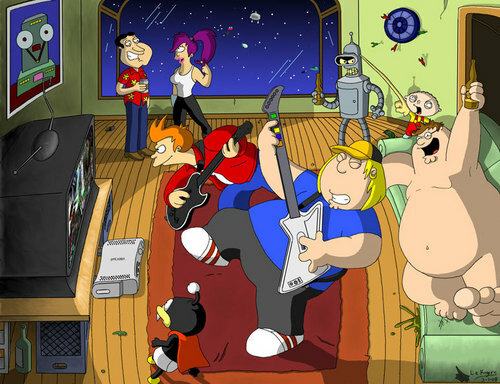 Family Guy as disney Cartoons--Musical-- "It's A Wonderful dia For Pie"